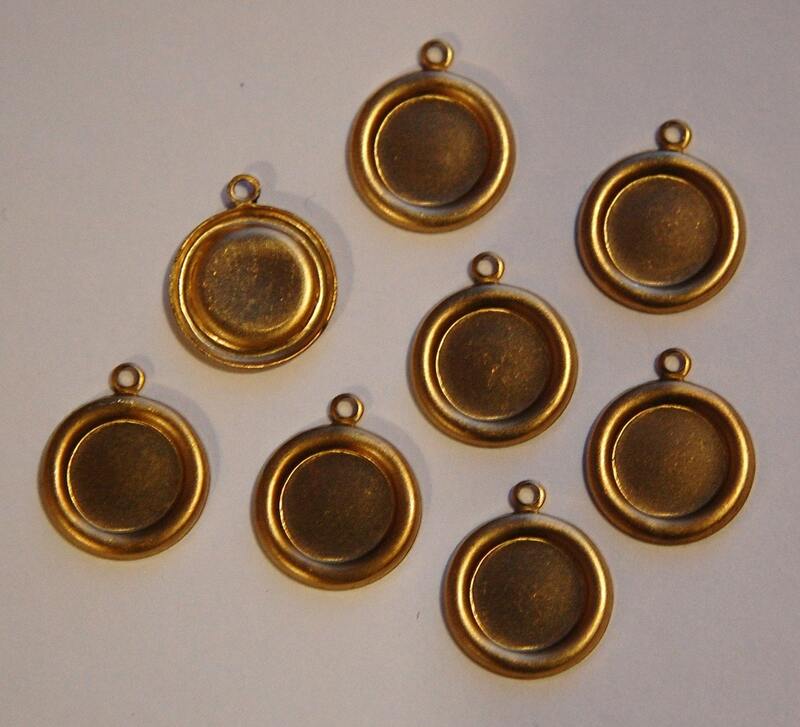 These are raw brass settings that were made in the USA. These have a rolled edge and 1 loop. One piece is turned over in the pic so you can see the back. These hold a 9mm stone. You will receive 8 pieces.